This mini tea wood box is created by our customer of Boston tea company. It is very nice after black felt lined inside. 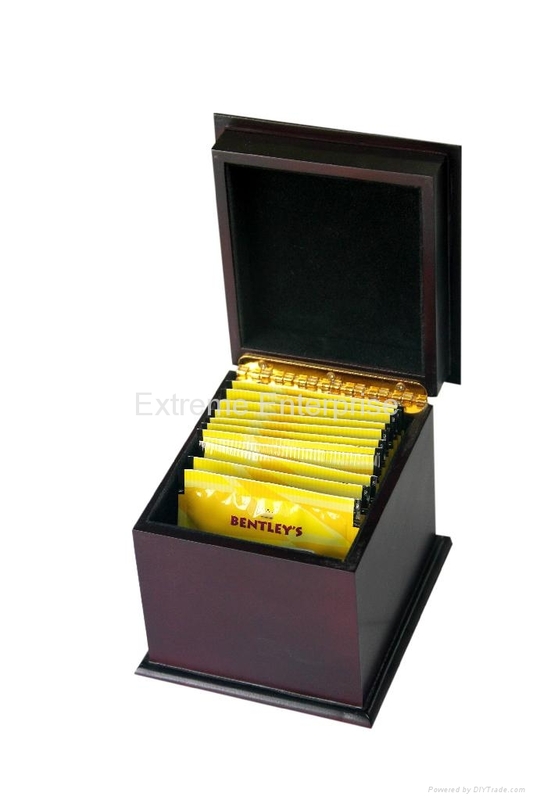 Due to steady contructions, this tea gift box has smoothy surface and saline tested hinge. On the outside lid, we could engrave customer's logo. So this tea pocket is very easy to carry by people and suitable for you to give your friend, kids and relations as a gift. 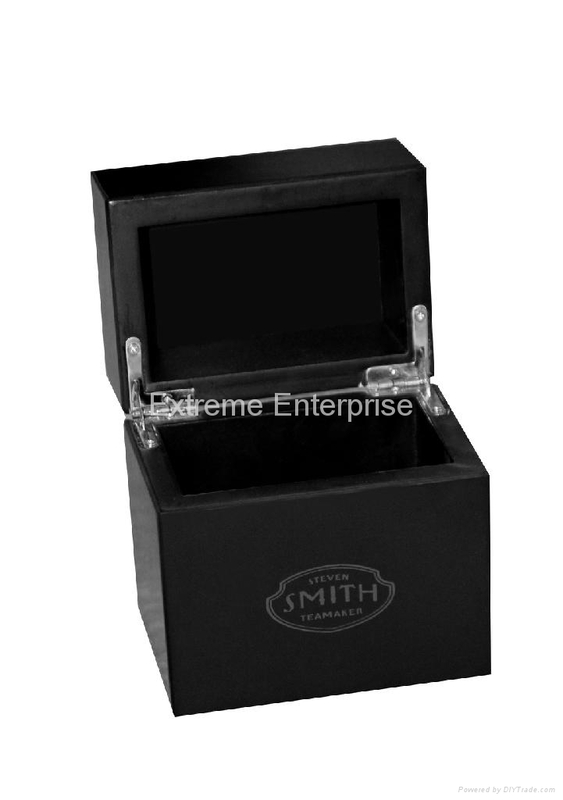 Another mini tea gift box is created for our customer of Smith tea company. We take great pride in manufacturing the highest quality, custom made wooden tea boxes and tea chests for each and every customer. We have the skilled workforce and expertise required to meet any and all of your wooden box needs.